Forty years after signing the Camp David Accords, the barriers between the Arab world and Israel remain as high as ever — with the landmark deal and its resultant agreements having produced neither a permanent peace agreement nor a Palestinian state. Today marks the 40th anniversary of the 1978 Camp David Accords, signed at the White House by the then Egyptian president, Anwar Al Sadat, and the then Israeli prime minister Menachem Begin, under the auspices of former United States president Jimmy Carter. “There is still a psychological barrier between us and the Israeli people,” said former Egyptian lawmaker Mohammad Anwar Sadat, nephew of Anwar Sadat, who famously recovered in stages the Sinai Peninsula, occupied by Israel during the 1967 Six-Day War. Camp David eventually resulted in the 1993 Oslo Accords and the 1994 Jordanian-Israeli Peace Treaty. What is the legacy of Camp David? American historian David Lesch, author of The Arab-Israeli Conflict: A History, told Gulf News that Camp David, “ended the Arab-Israeli conflict in its original form”. 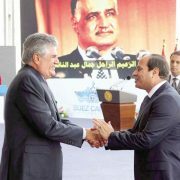 “The removal of Egypt from the Arab fold created a vacuum of power and disturbed the regional order of things. Instantly, the vulnerability of Arab countries such as Syria and Iraq was heightened considerably; and the Israeli regime of Menachem Begin began to think that it could act aggressively on a number of fronts with impunity — from accelerating the Jewish colonies in the Occupied Territories to Lebanon. Sadat was vilified in the Arab world for essentially abandoning the Palestinian cause — not that any of the other Arab states had done much for it, but the Egyptian president’s actions were much more obvious,” he said. What was the reaction of the Arab world? Coming less than a year after Sadat made his historic three-day visit to occupied Jerusalem, where he spoke at the Israeli Knesset, the Egyptian-Israeli peace treaty took the Arab world by storm. Egypt was expelled from the Arab League, which relocated its offices to Tunis City. Iraq, Syria, Algeria, Libya and South Yemen suspended diplomatic relations with Egypt, while the US started sending an annual aid package to Cairo, which currently stands at $1.6 billion (Dh5.88 billion) per year. What happened after the accord was signed? Sadat was hailed as a peacemaker by the West and the Israelis, and a criticised as a “traitor” by some Arab nationalists. Two days after the official signing, the accord was ratified by the Egyptian Cabinet and on September 28, by the Israeli Knesset. In January 1980, relations were normalised between the two former enemies and in February, an Israeli ambassador arrived in Cairo and an Egyptian one in Tel Aviv. That same month, the Egyptian parliament revoked all boycott measures against Israel, all penned since the days of King Farouk, and in March, commercial flights began operating between Cairo and Tel Aviv. What was the impact of the accord for Sadat? In October 1981, Sadat was gunned down by religious extremists in Cairo — in direct response to Camp David. Thirty-seven rounds of ammunition were fired at the Egyptian leader while he was attending a military parade, killing 11 people, including the Cuban ambassador, an Omani general, and a Coptic priest. Sadat didn’t live long enough to see the final departure of Israeli occupation troops from the Sinai in April 1982. 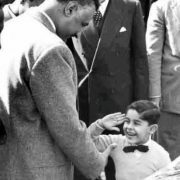 With the exception of Sudan, Somalia, and Oman, all Arab states boycotted Sadat’s funeral, in sharp contrast to the hysteria and grief that overcame the Arab world 11-years earlier, when Sadat’s predecessor, Jamal Abdul Nasser, was laid to rest in September 1970. The Palestine Liberation Organisation said Sadat had reached an agreement “at the expense of, and from behind the back of the Palestinians”. Carter and Begin showed up to pay their respects to their partner for the 1978 Nobel Peace Prize, and so did former US presidents Richard Nixon and Gerald Ford. What were the events leading up to the secret accord? 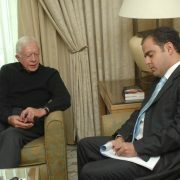 The peace agreement was the result of 14 months of secret diplomacy, made successful by the unwavering dedication president Carter. He refused to let the two leaders leave Camp David, before agreeing on a deal that would enable Israel to live in peace and see it relinquish all occupied land from 1967 to the Egyptian government. 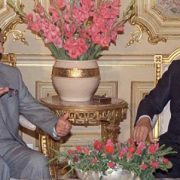 According to modern historians of Egypt, Sadat had little affection for Begin and seldom had direct contact with him, forcing Carter to do much of the micromanagement, moving from one room to the other and often carrying messages back and forth. The two men had fought each other in three wars; 1948, 1967, and 1973. It was painstakingly difficult for them to set aside their differences, Carter recounted on numerous occasions. The US president famously took them to the nearby Gettysburg National Military Park, hoping to draw parallels between the American Civil War and their own Middle East conflict. Why did Sadat agree to peace with Israel? After parting ways with the Soviet Union, Sadat was desperate for an alliance with the US, wanting funds to revive his country’s staggering economy. No media was allowed at Camp David, which helped both sides when it came to direct talks and concessions. What did the US gain from the accord? Transforming Egypt into an ally was vital for the US, Esber said, coming with the almost simultaneous collapse of the Shah’s regime in Iran, which was until then the most powerful US ally in the region. 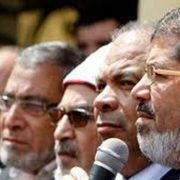 “Beyond the Cold War dynamics, the Egyptian exit from the Arab-Israeli conflict had an unprecedented impact on the regional balance of power and would lead to significant decades-long ramifications on Middle East politics. The Syrians, former partners of Sadat in the October War of 1973, had to rely on themselves to balance against the Israelis, leading to massive arms purchases from a Soviet ally eager to restore some of its regional clout (this dynamic, of course, received greater impetus when Yuri Andropov took over the helm in Moscow, following the death of Leonid Brezhnev). Syria would later find a much-needed ally in revolutionary Iran, another dynamic that still plays a major role in shaping regional affairs,” he said. Did the accord actually achieve anything? 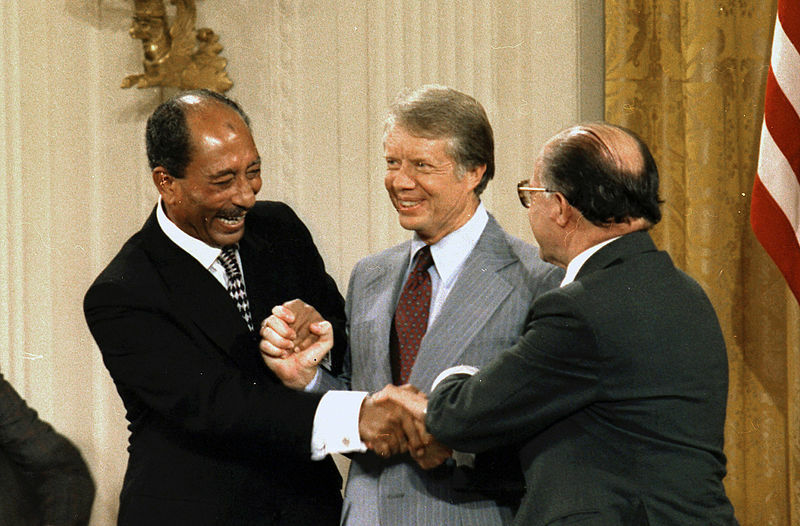 “For Sadat and Carter, the treaty was seen as a beginning — a model that other Arab leaders could follow,” Lesch said. But for Begin, “the treaty was more of an end – Israel had done its part and satisfied UN resolutions. It would be much easier for other Arab states to sign peace treaties with Israel because the leading light in the Arab world had already done so. By surviving, despite its acknowledged flaws, the treaty provided something of a template for succeeding Arab–Israeli agreements and destroyed psychological barriers along the way,” he said. 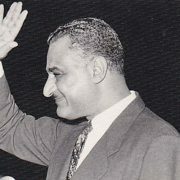 According to professor Hilal Khashan of the American University of Beirut, it is highly improbable that Sadat had a chance of getting a significantly better deal despite his impromptu actions and gratuitous decisions during the course of the negotiations. “Sadat understood the balance of power between Egypt and Israel and fully realised that he could not count on serious US pressure to coerce Israel to make breakthrough concessions. The fact that even 40 years after Camp David, the Palestinians have not succeeded in achieving statehood, while the Golan Heights remain firmly in Israeli hands, attests to Sadat’s understanding of the sad reality of geopolitics in the Middle East that has only got worse since then,” Khasan told Gulf News. For more than 50 years now, whenever US presidents have sought privacy, they have sought the cool confines of Camp David, the presidential retreat tucked away in Maryland’s Catoctin Mountains. The lodges of Camp David are a 30-minute helicopter ride away from the White House. ■ US presidents have entertained heads of state, conducted Cabinet meetings and briefed Congressional leaders at the retreat. The 1978 Middle East peace talks concluded with the Camp David Accords. ■ It all started in 1935, when the US Work Projects Administration began building the Catoctin Recreational Demonstration Area Project in Maryland, to show how to create parks from worn-out agricultural land. ■ Three years later, the area opened as a camp for federal government employees and their families and was known as Hi-Catoctin. It provided a cool respite from the tropical humidity of Washington DC. ■ The camp was first used by ailing president FD Roosevelt to escape the heat and political pressures of the city, who renamed the camp as USS Shangri La. President Dwight Eisenhower later changed the name of the retreat to Camp David in honour of his grandson, David Eisenhower. Published in Gulf News on 17 September 2018.